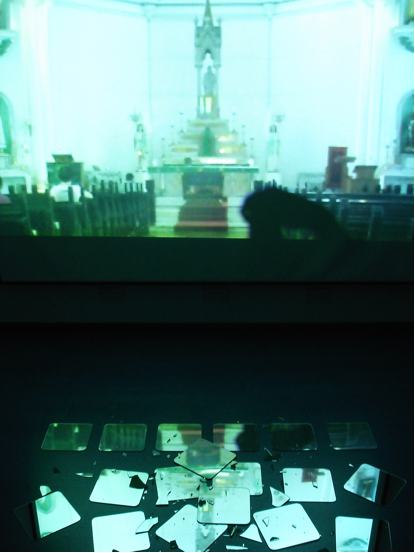 Ephphatha meaning ‘Be opened’, was an audiovisual installation staged at the Cyberarts Studio in the National University of Singapore in 2006. 24He looked up and said, “I see people; they look like trees walking around.” 25Once more Jesus put his hands on the man’s eyes. Then his eyes were opened, his sight was restored, and he saw everything clearly. 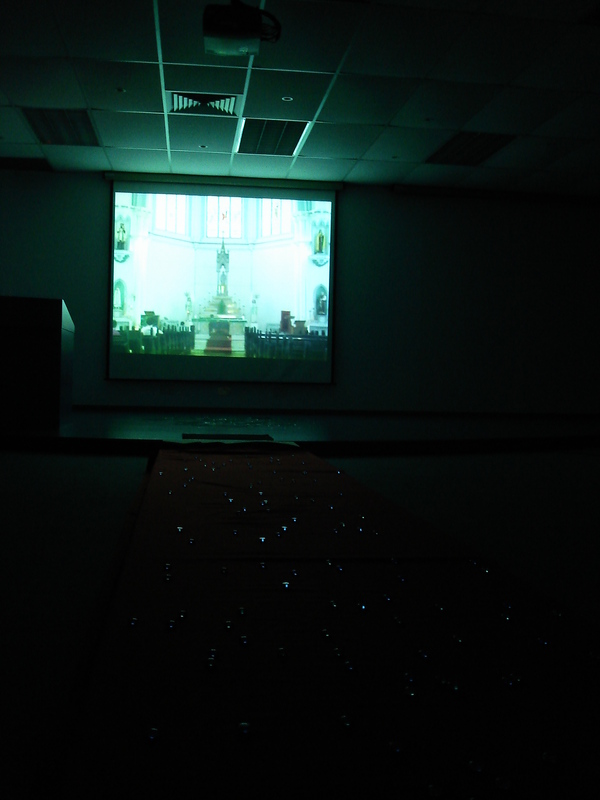 The installation setup includes a video projection of a cathedral, broken mirrors and an interactive soundboard that visitors are encouraged to walk on.